Dreyer's Ice Cream has a new but old flavor they have released called Spumoni. This ice cream is a trio of flavors: chocolate, cherry and pistachio. 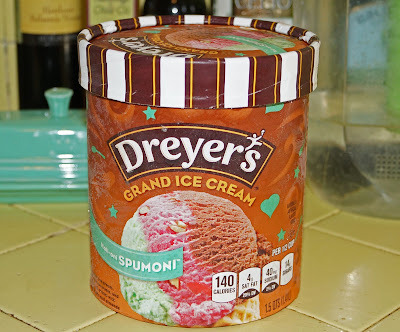 If memory serves me right, I remember Spumoni having dried, candied fruit and nuts. This did not. The flavors did not necessarily have to be tri-colored but could be vanilla only. This version reminds me of a Neapolitan style ice cream. Regardless of my memories, this tub was devoured and enjoyed in the name of research. 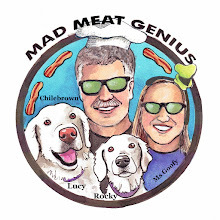 Greg, When we used to go to Occidental for family style Italian dinners I remember getting Spumoni for dessert.